Kyle Ellison is an Instructor at Hawkes Bay Regional Prison. 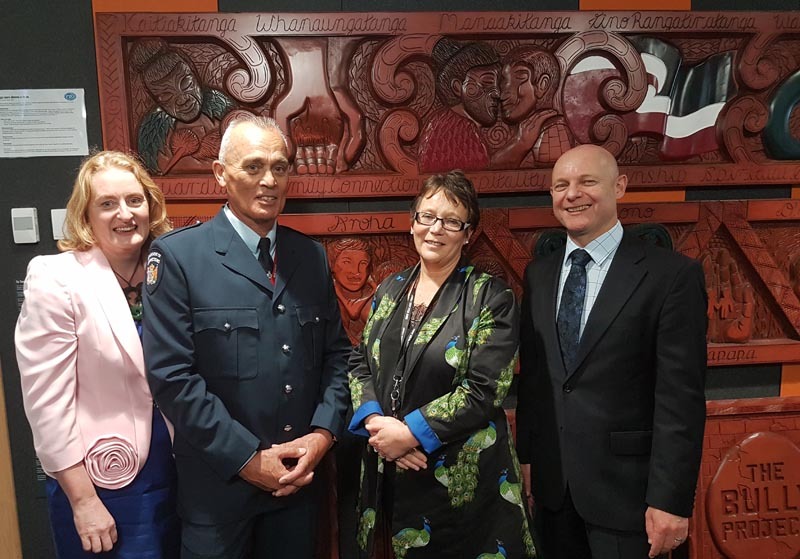 In February, he spoke at the powhiri in Oranga Tamariki Ministry for Children in Wellington, where seven carvings by men in Unit 7 of Hawkes Bay Regional Prison were gifted to the Ministry. The following is Kyle’s speech. “Today is all about Oranga Tamariki and the taonga whakairo we see here hanging proudly in its final resting place. Hawkes Bay Regional Prison’s input was simply the seed that has grown into the occasion we are attending today. “I would like to touch base on the journey of the whakairo activity in unit 7 that we’re running at Hawkes Bay Regional Prison. It all began in June 2017 when Steve McNamara, Principal Corrections Officer of Unit 7, and I sat down in his office and discussed the possibilities of starting a carving activity in the joinery room. The reason was to involve as many men as possible in constructive employment. “After liaising with the appropriate people, all the boxes were ticked and the activity was ready to roll with the first seven prisoners being placed on the training. I was their instructor. “There are two elements to the whakairo activity: the creative process itself and then the education aspect. This activity is aligned to our Limited Credit Programme certificate, which the learner has to complete before undertaking national qualifications through NZQA. This worked out well and we already have one prisoner who has achieved this certificate. 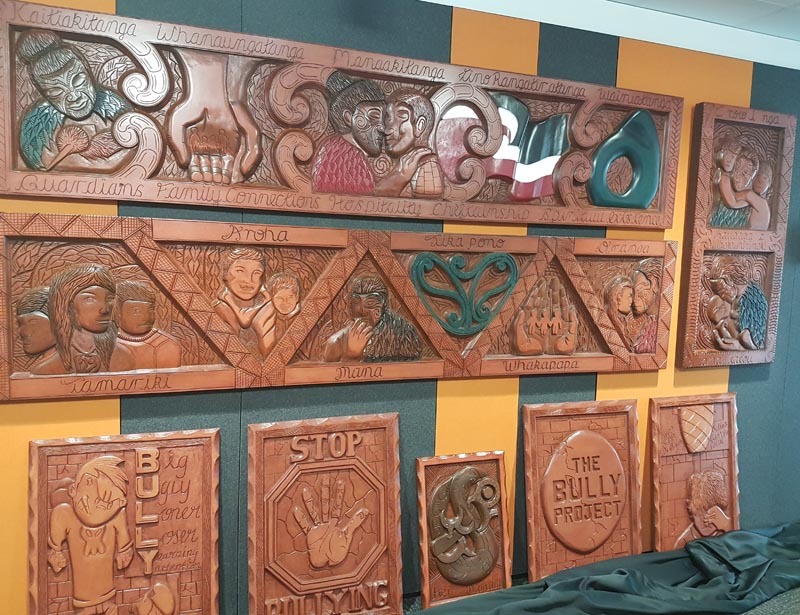 “In regards to the whakairo element and the creative process, this first project was related to bullying: the consequences of being bullied and being a bully. 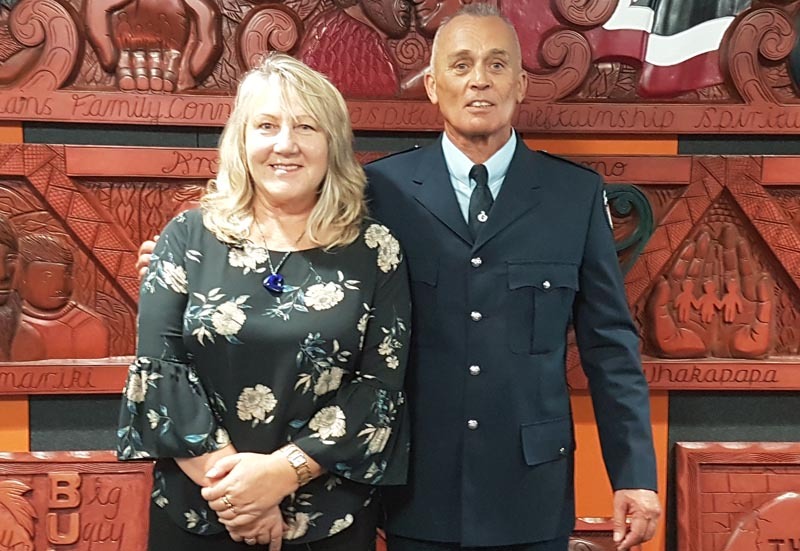 “It was during the early stages of this project that I happened to be talking to Carol Kitson, now the Manager of the Youth Justice Core of Oranga Tamariki in Tairawhiti (Gisborne/Hawkes Bay). At the time, she was still working for the Police but wanted to take this initiative to her new role at Oranga Tamariki. “Wow, their principles, values and foremost their vision is exactly what we as an activity want to tautoko (support). This tautoko is reflected in the taonga whakairo hanging before us this morning. “Among the many messages it portrays, there is one that will rise above them all. This message is a challenge to all New Zealanders to give our tamariki, our youth, the right to live in a country free from violence and fear. Original generation time 1.6458 seconds. Cache Loaded in: 0.0313 seconds.